Keystone and Breckenridge are putting their ski seasons on hold indefinitely. 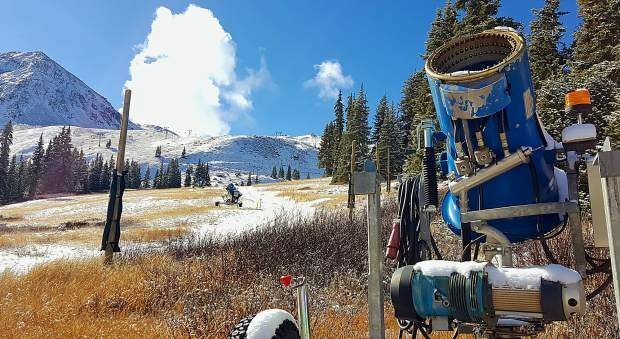 Late on Nov. 8, the two Vail Resorts-owned properties decided to postpone both of their opening days until “resort officials feel confident they can open with a high-quality snow surface,” according to a release from the parent company. Neither ski area has confirmed an opening date as of press time. The two Summit County-area resorts were scheduled to open for the 2016-17 ski season on Nov. 11. Keystone had already delayed opening day once this season, moving its first chair from Nov. 4 to Nov. 11, while nearby Copper Mountain also delayed its opening day, moving from Nov. 11 to Nov. 18.